Application to SigmaCamp2016 is now closed. SigmaCamp is an overnight Science and Math camp for children ages 12 to 16. 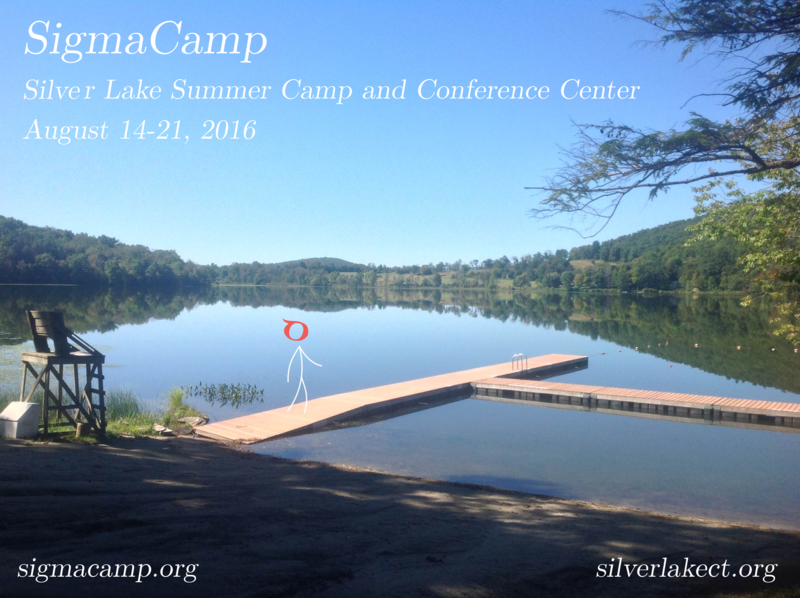 SigmaCamp 2016 will take place from August 14 to August 21 at the picturesque foothills covered with majestic pine trees on the shore of the beautiful lake at Silver Lake Camp and Conference Center, Sharon, Connecticut. As a student at SigmaCamp you will spend a week with other talented campers, who like yourself are interested in learning about the exciting puzzles and mysteries of the world around you. You will be guided by college students from top US Universities and taught by leading professors and scientists from Stony Brook University, Brookhaven National Lab, Harvard Medical School, and MIT. Your days will be filled with discussions of the most exciting topics in contemporary science; hands-on experiments; debates; and educational games. And, of course, summer being summer, you will also be able to participate in many other activities such as sports, art, and music. Want to know more? Check out the photos of SigmaCamp 2015, read more about the day at SigmaCamp, our academic program, get information about accomodation and tuition, and meet our faculty and counselors.